Like amber fields of grain, a wave of patriotism is rousing sentiments and opening pocketbooks of American consumers. Certainly, a buy-American impulse is helping sales of domestic vodkas, many of which have made that a part of their brand messaging. And those magic marketing terms, “local” and “craft,” are often part of the communication. All of which begs the question: Is there an American style of vodka? And can it compete successfully against established imported vodka brands? “There is definitely a more patriotic feeling in the air right now,” says Katie Clas, a purveyor for Phillips Distilling, producer of Prairie Organic and UV vodkas. She cites the upcoming elections and nationalism surrounding the Olympic Summer Games as factors. “There is a real consumer drive towards ‘Americana’ right now,” says Richard Black, vice president of marketing, White Spirits & Cordials for Campari America, whose portfolio includes Skyy Vodka. Black cites studies that show American brands driving segment growth, and Skyy Vodka is growing at nearly 5% ahead of the category as a whole. Quite a few beverage producers are cloaking their products in a patriotic halo. The most blatant example is America Beer, aka Budweiser. Vodka too has embraced that stance, with brands like American Star Vodka, American Pride Vodka, American Revolution Vodka, Salute America and Heroes Vodka—the latter three are either veteran-owned or devote a portion of sales to helping veterans and their families. Similarly, this summer UV Vodka launched a “Salute to Heroes” program supporting veterans. “A number of vodka brands are running with that idea of Americana, tapping into the country’s roots,” says Reid Hafer, senior brand manager at Heaven Hill, responsible for Burnett’s Vodka. This summer, the brand launched a USA Party Edition, featuring a full-shrink sleeve with red, white and blue graphics for the 1.75ml size. It has gotten a great response from consumers, Hafer says. McCormick’s 360 Vodka also emphasizes its origins, especially on its Limited Edition Patriot Bottle, released every summer. “We are proud of being an American-owned company, and proud of the quality that results from being American-made,” says Noelle Hale, communications director for McCormick Distilling Co.
Is there such a thing as an American style of vodka? The answer is a combination of yes, no, maybe and not yet, but soon. “What defines American vodka is more about the brand’s personality than a flavor profile,” asserts Hafer at Heaven Hill. Burnett’s messaging revolves around images of American pastimes like picnics and tailgate parties. “The hallmark of American vodka is that it is clean and stripped of impurities,” Hale says, citing the TTB’s definition of vodka as a colorless, tasteless, odorless, neutral grain spirit. 360 Vodka is made from locally sourced grain and is six-times distilled and six-times filtered. “We would say there isn’t an American style for vodka yet. Unlike spirits that have American roots going way back, such as whiskey and gin,” says Thomas Mooney, co-owner and CEO of House Spirits. 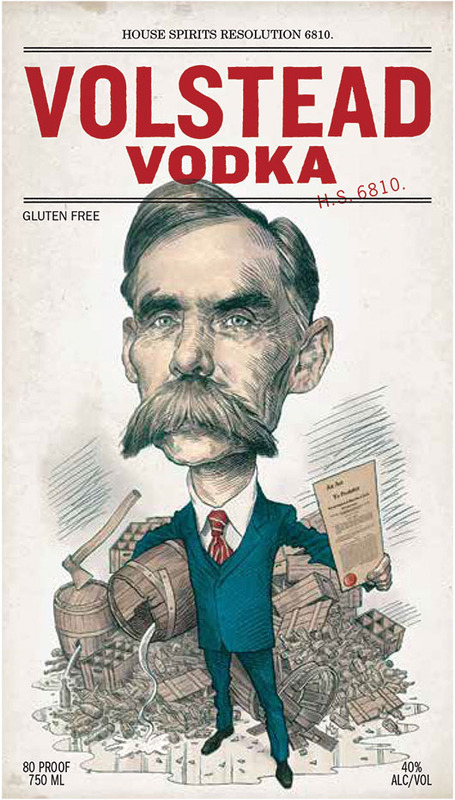 The company’s Volstead Vodka is a version of its well-regarded Aviation Gin, without the botanicals, and takes its name from the Congressman instrumental in enacting Prohibition. 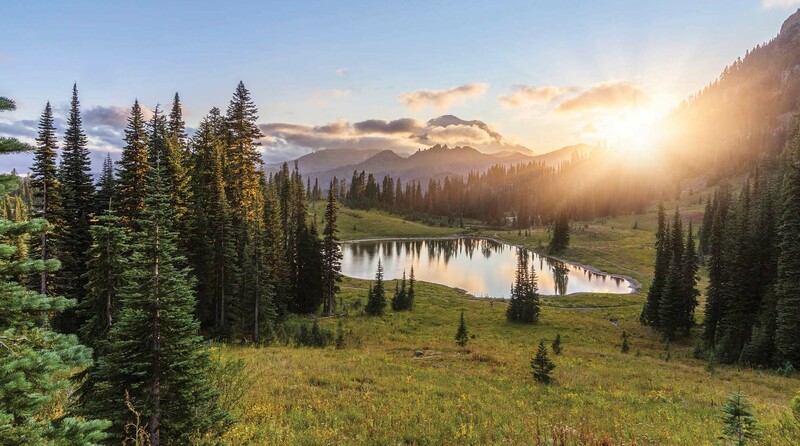 Water for Volstead Vodka is drawn from the Cascades Mountains. The CEO believes there is tremendous value in the concept of local. Vodka can be, and has been, made with just about any fermentable. Grain is the most common base: generally speaking, wheat makes elegant, citrusy vodka; rye adds spice; barley adds acidic notes. Potato vodka has a creamy mouthfeel. Vodka made from grapes is floral. Vodka is also distilled from sugarbeets, molasses and fruit. For many American vodka producers, corn is the choice for a base. The U.S. is ranked first worldwide in corn production. And, thanks largely to Bourbon, corn is seen as a quintessentially American base for spirits. Deep Eddy Vodka, for example, has a corn base. And Prairie is made from organically grown corn. “That creates a pleasant sweetness in the vodka,” Clas notes. Apples are as American as apple pie, so many producers offer apple-flavored vodkas. New Amsterdam is testing an apple flavor in select markets. “Early results have shown that consumers are enjoying the taste tremendously,” says Michael Sachs, director of marketing for New Amsterdam. The company plans to launch New Amsterdam Apple Vodka nationally at the end of this year. For its part, 360 Vodka just released a variation on the theme, Red Delicious Apple Vodka. However, a handful of distillers are using apples as a base. Tuthilltown Spirits offers the aptly named Indigenous, a Fresh-Pressed Apple Vodka, made from 100% New York State apples. Local is one of those buzzwords tossed around rather casually these days, but still seems to hold appeal. Local can mean the same community, state or even country. Some producers’ brand messages emphasize the provenance of ingredients, using concepts and terms from winemaking. “We are proud to source our product from a handful of family-owned farms in Princeton, Minnesota,” says Clas at Phillips. Prairie Vodka is made from an organically-grown, heirloom variety of corn. “We celebrate that; it’s a big differentiating factor,” adds Clas, who references the grower Champagne concept, because the vodka is different from one harvest to the next. The company just completed construction of a distillery on one of the farm estates. “We highlight the local aspect of 360 Vodka, as well as the fact that it is the world’s first eco-friendly luxury vodka,” Hale says. That the product is locally-sourced and sustainable are big talking points for 360. Craft is another magical marketing term that perhaps has been overused. But many American producers employ that handle, and rightly so. As of March, there were 1,280 craft distilleries, according to the American Craft Spirits Association. Another craft pioneer, House Spirits, is emphasizing history with its new packaging for Volstead Vodka. Another craft pioneer, House Spirits, is emphasizing history with its new packaging for Volstead Vodka. The front label looks like it was ripped from a vintage issue of Harper’s Weekly with a caricature of Andrew Volstead, the unlikely hero of vodka. The back label details the history and the craft involved in making the spirit. “People love to learn about American cocktail history,” Mooney notes. Is the multi-pronged approach bearing fruit, appealing to consumers and competing with mainstream imports? It appears so—at least on a case-by-case basis. At Campari America, Black points to a number of factors that paint a bright future. Craft cocktail bars that once shunned vodka are now adding vodka cocktails back onto their menus. In the off-premise market, American domestic vodkas are enjoying more specialized attention. “Retailers are gladly calling out and creating sections specifically for domestic vodkas because their customers are looking for them,” he says.